The READ RUSSIA PRIZE jury has selected the shortlist for the 2018 READ RUSSIA PRIZE. Submissions for the 2018 prize honored extraordinary Russian authors and Russian-to-English translators and came in from more than 30 publishers around the English-speaking world. The winner/s will be announced and presented with the READ RUSSIA PRIZE at the London Book Fair on Thursday, April 12, 2018. Translated by Arnand Dibble et al. Translated by Robert and Elizabeth Chandler et al. Translated by Bryan Karetnyk et al. FOR IMMEDIATE RELEASE – New York, NY (December 18, 2017) – Read Russia, the nonprofit institution that promotes Russian literature in translation, announces the longlist of nominations for the 2018 READ RUSSIA PRIZE competition for the best new English translations of Russian literature. Submissions for the prize this year included scores of extraordinary authors and translators coming in from more than 30 publishers. The shortlist of finalists will be announced at the end of January / early February and the winner/s will be presented with the READ RUSSIA PRIZE at the London Book Fair, April 10-12, 2018, in the United Kingdom. Read Russia presents prize-winners with a cash award of up to $10,000, divided at the discretion of the prize jury between the original English-language publishing house and the translator(s) of the work. 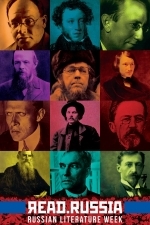 All new English-language translations of Russian literature published in English between January 2016 and June 2017 are eligible for submission. 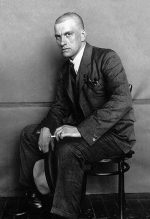 Previous winners have included Oliver Ready, for his translation of the novel Before and During by Russian author Vladimir Sharov (Dedalus Books) and Joanna Turnbull and Nikolai Formozov for their translation of Autobiography of a Corpse, a collection of tales from Russian writer Sigizmund Krzhizhanovsky (New York Review Books). ⇒ Read more on RUSSIAN LITERATURE WEEK – 2017: A FESTIVAL OF TRANSLATION!